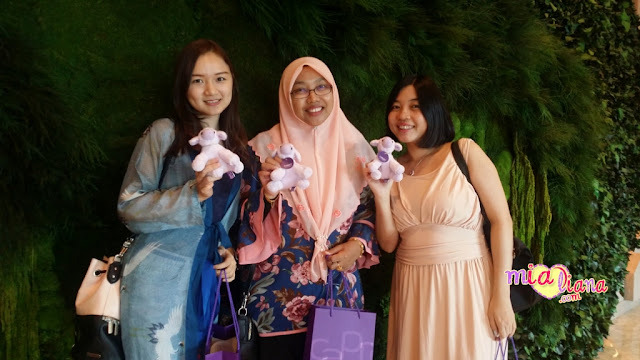 Bandar Utama, Kuala Lumpur, 25 March 2019 – There was much ado at Vivo’s Superday sale at the One Utama Shopping Centre recently where early birds of its latest AI Triple Camera Shoot like a Pro Vivo V15 smartphone buyers received exclusive freebies. 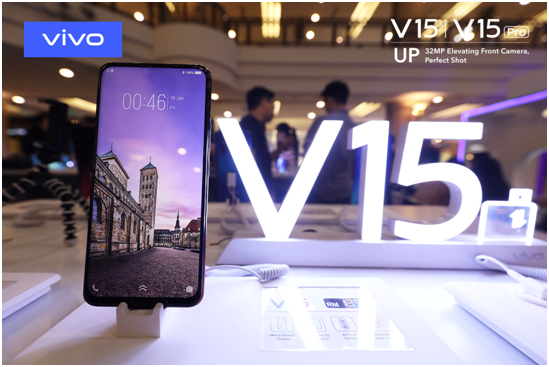 The latest offering from Vivo was officially launched by Mike Xu, CEO of Vivo Malaysia, and received positive feedback and sales on the day itself. “Our new V15 smartphones have been selling extremely successfully based on the amount of pre-orders and early bird purchases today. We are very grateful for the overwhelming support that we have received from the public which only invigorates us to work harder to produce smartphones that meet the demand of the market,” said Mike Xu, CEO of Vivo Malaysia. The first 250 smartphone buyers received a gift box worth RM299 with Petronas Gift Cards worth RM100 or more. 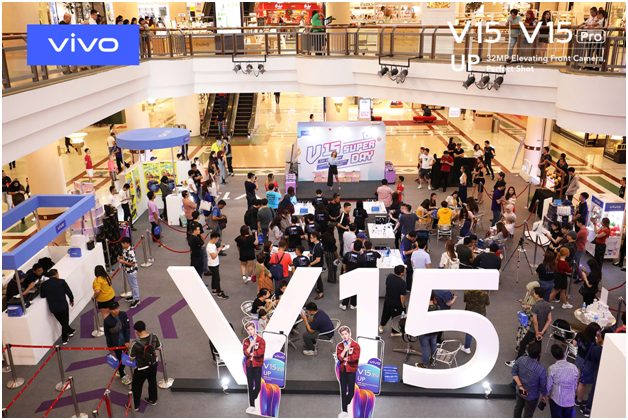 All Vivo smartphone buyers were also eligible for the Superday Sale Lucky Draw where lucky winners won a AI Triple Camera Shoot like a Pro Vivo V15 smartphone, a bicycle, luggage and powerbanks. The AI Triple Camera Shoot like a Pro Vivo V15 smartphone features the world’s first 32 MP Elevating Front Camera with a stunning full-screen making it one of the best selfie phones in the market right now. 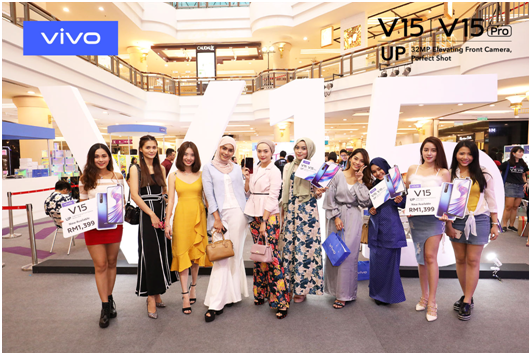 Local celebrity influencers Aida Azira, Osaka Oyuro, Collinstin, Liyeeee, Kylie Lim, Syazlin Zainal, Meloffa, YiiYii Tan, Yuna Zainal, Farah Farhana joined in for a day of fun and activities. Mia, Vivo phone memang tak menghampakan.. Keluar V15 pula tentu lebih canggih..
LZ pun tengah berkira-kira untuk beli phone ni..